Many luxurious amenties have been added while maintaining the distinctive charm and character of the Cottages on the Creeper. Throughout these cottages you will find paintings by local artists. Arched entryways, mellow colors and vibrant fabric welcome you home with comfort and warmth. Take a quiet stoll through and you will notice the loving care and attention to detail relfected in the workmanship around you. In this charming setting you can enjoy the anitques of the past and the comforts of today. The tastefully furnished living areas invite you to sit, relan and enjoy a good book or movie. The fully equipped kitchen and dining areas contain some of the most creative touches. Enjoy a long nap or a lazy afternoon on the patios. 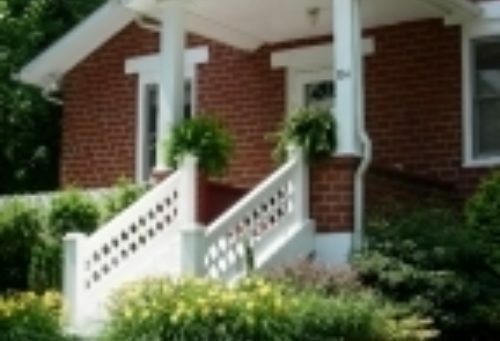 The cottages are just a short stroll to quaint and elegant shops, restaurants and the Barter Theatre.